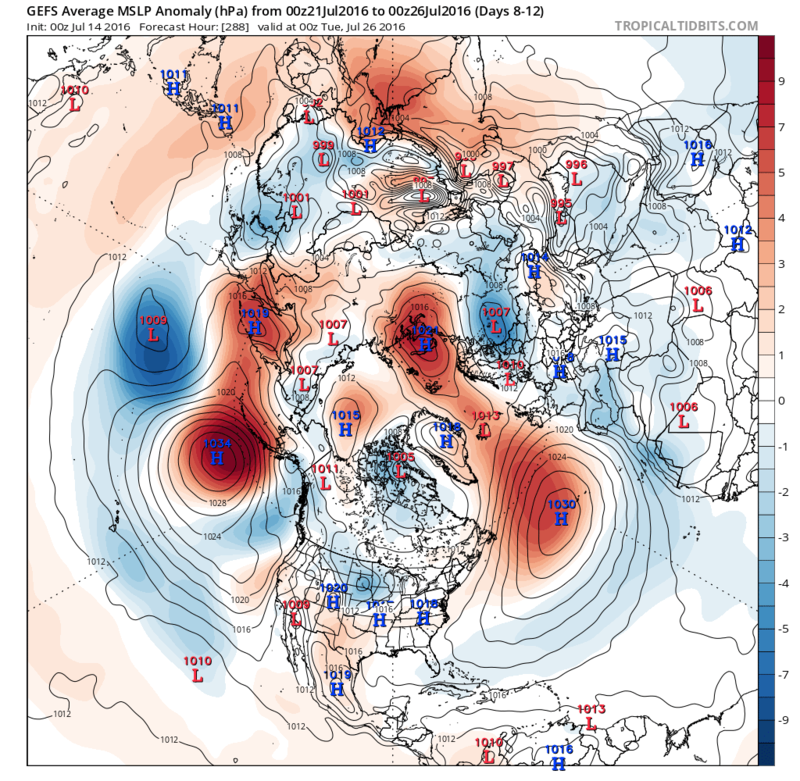 If your a cold lover, 18z have some horrid charts! 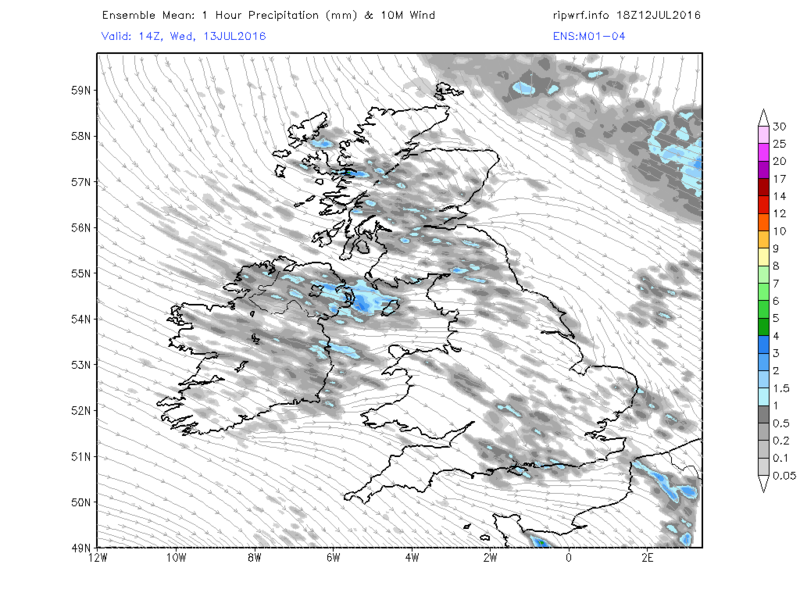 Today a mainly north westerly regime with some showers developing PM mainly in the north. The weekend sees a front moving SE on Saturday so generally the weather will be rather cloudy and cool. At the beginning of next week a ridge moves in from the SW which briefly collapses on Tuesday as a frontal system moves SE and fragments but temps have picked up a tad. 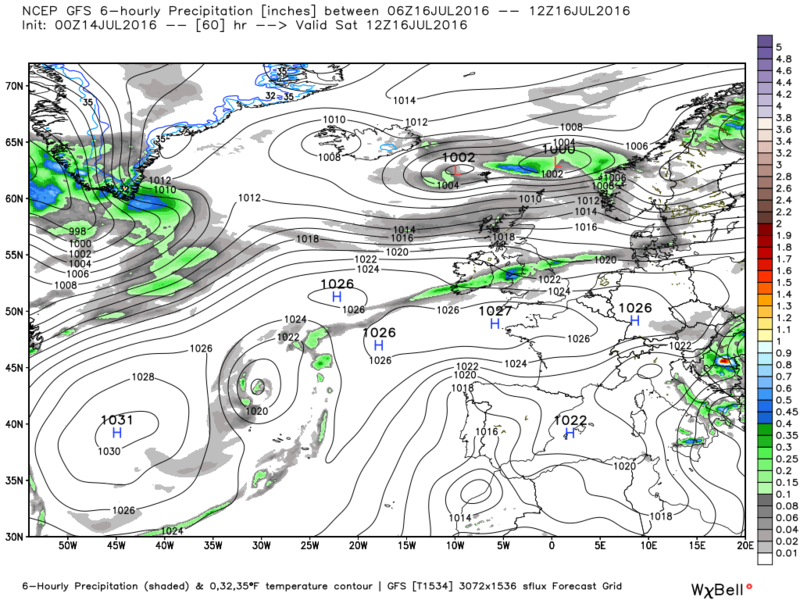 For the rest of the week a ridge of HP in the Atlantic moves east bringing some mainly dry weather. Temps a little above average but dipping below by the end of the week. The gospel according to this morning's GFS but not written on stone like the tablet so it comes with a health warning. Excellent looking UKMO this morning - turning hot, humid and thundery by midweek! Mid to high twenties on offer, not a long lasting affair by any means, but certainly potential for some fireworks! The GEFS anomaly this morning is still pushing height rises mid Atlantic but also severely weakening the anomalous trough which leaves some interesting possibilities vis the UK as the upper flow gets weaker. The percentage play would be the usual N/S split.But nNo point in making snap judgments regarding this so best follow the GEFs and the other two for a couple of days. Excellent ECM too this morning! 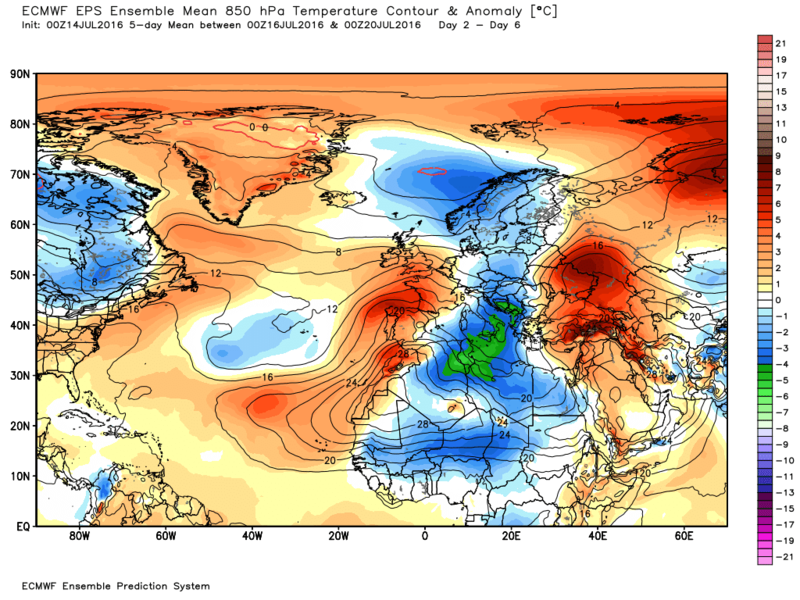 Singing from exactly the same page as the UKMO, and looking very similar at 120-144 hours. 850s of 16-17c in the south by Wednesday, and the warm air never gets shifted out once it arrives Saturday.....could be looking at 5 days of warmth now. 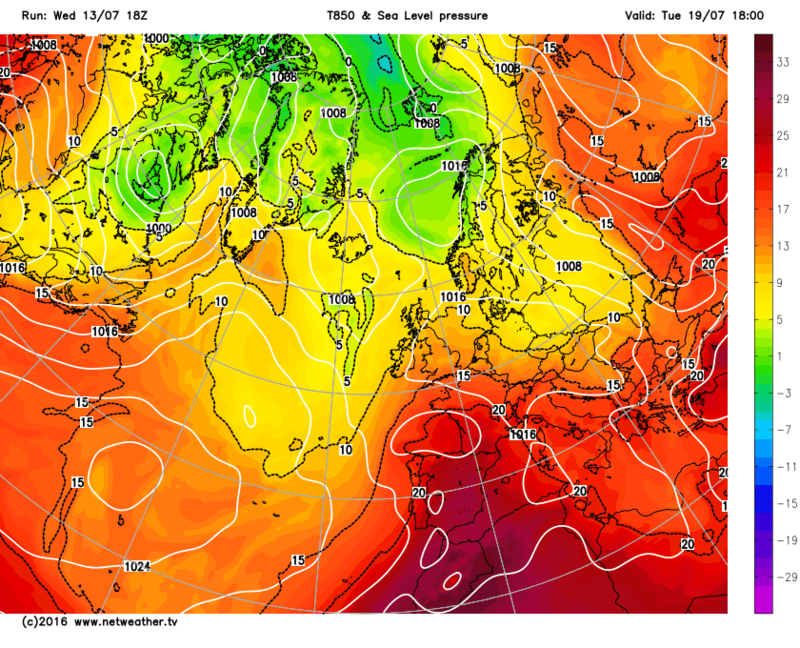 Wednesday looking VERY interesting with low pressure scooping that hot air our way...massive TS potential. 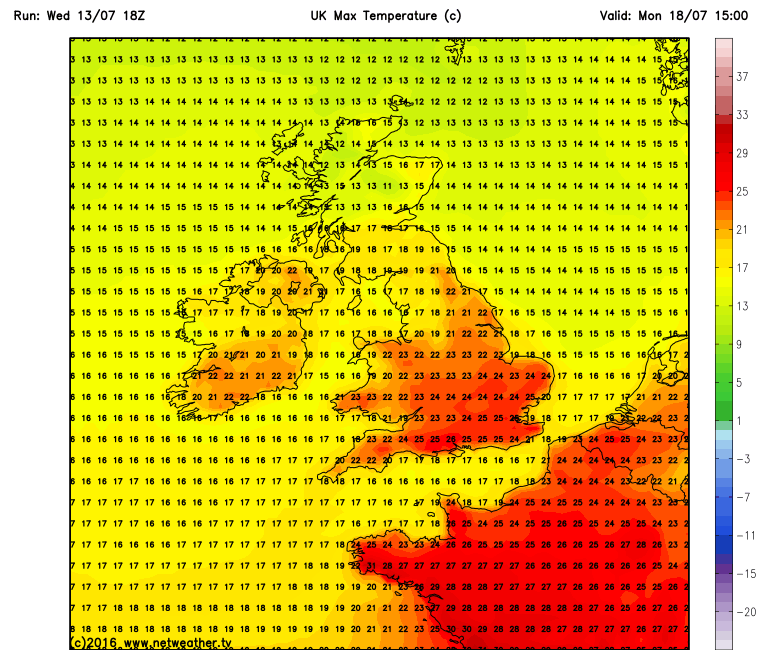 Could this be our 3 obligatory hot days and a thunderstorm then summer is over?..dont see it on the GFS 06hrs though? To be fair Monday is warm, Tuesday is hot and the rest of the week is average. But at the moment 48 hours is a lifetime when it comes to the models and we are talking a week away. Sidney is not counting his nuts as yet but I'm away to check. Not impressed with the euro models this morning, they want to bring a trough over us and build heights across northern latitudes- no thanks! 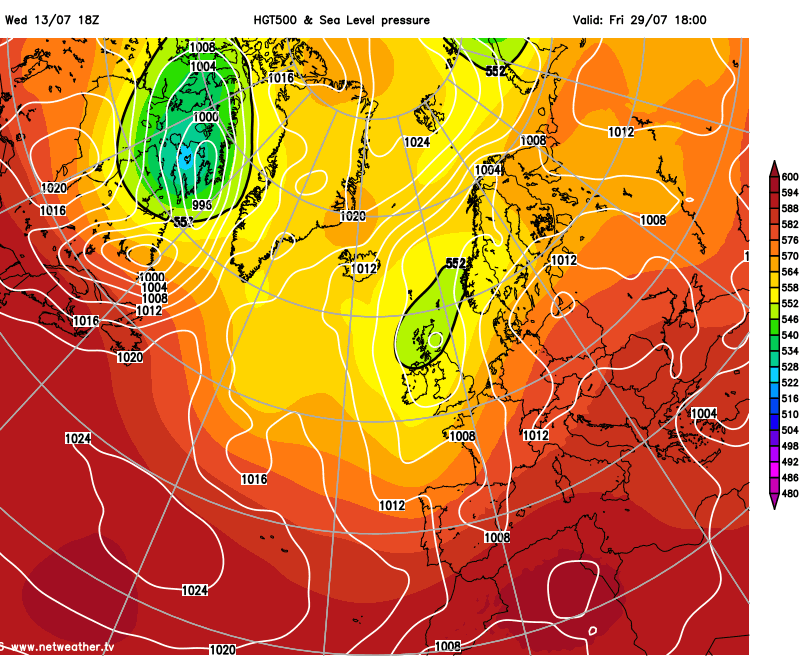 GFS and GEFS much better for longer lasting summer weather- yes please! I thought 'potential' was in the swear filter has it escaped? I was just quoting this morning's ecm which has hot localised Lincolnshire and East Anglia for Wednesday the rest of the country average. In any case people as usual are forgetting the north and Scotland where the heat doesn't apply. potential or not. I'm happier that the best 2 models are showing the same....but as knocker says, we've had massive changes every day for the last week, so we can't take anything for granted yet. 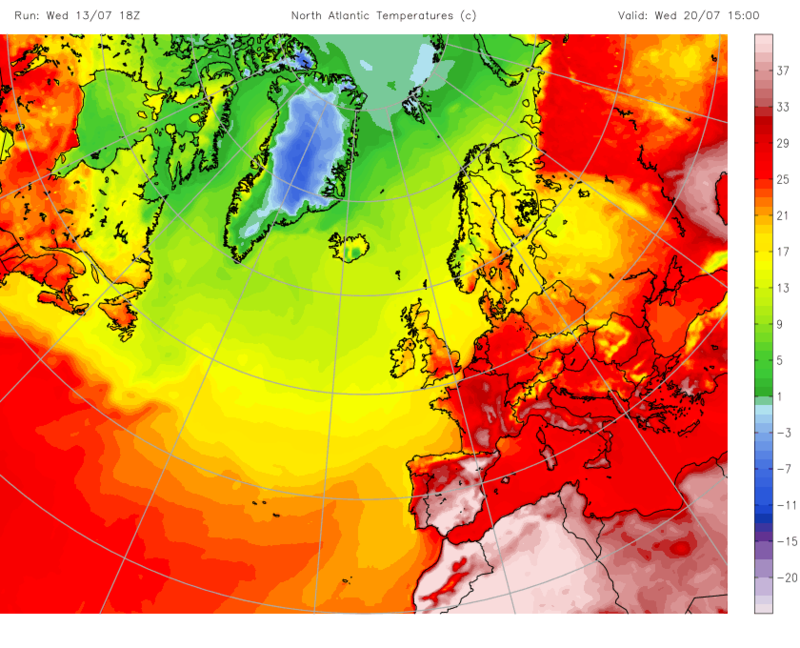 That heat is on a knife edge, and a small change could easily keep it south in France. One to watch. 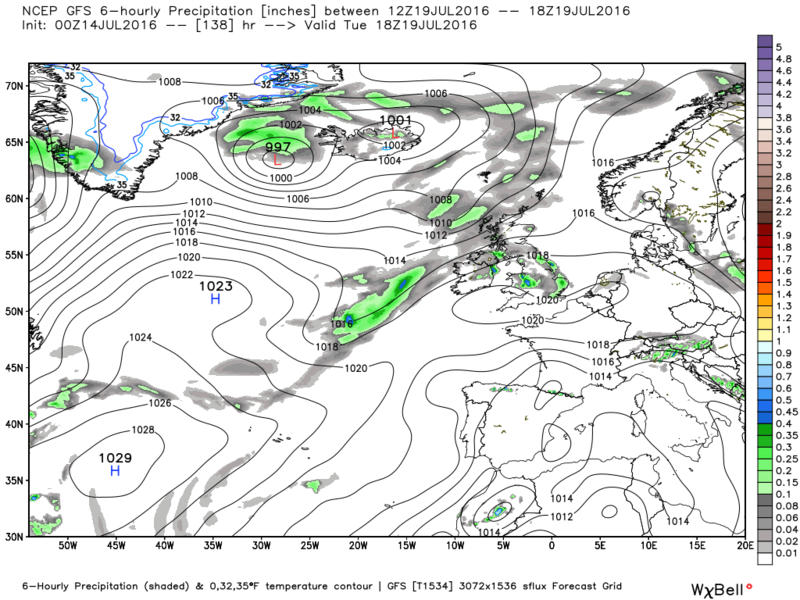 gfs impressed me last week and if things continue to trend as they are for next week then gem gets a gold star. certainly seems as though the general westerly flow is drifting further north as the Azores ridge exerts itself in pulses. 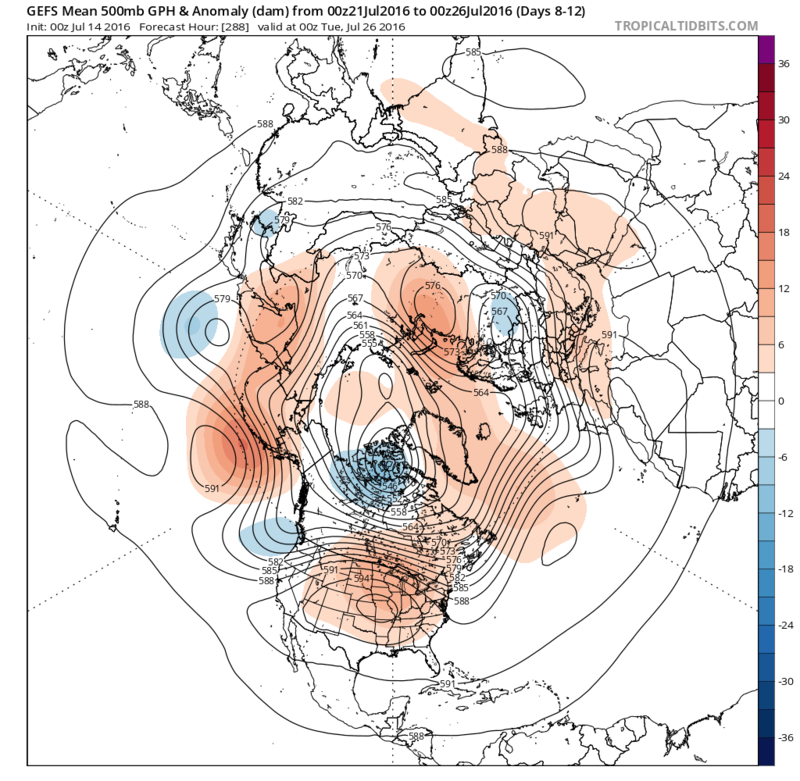 Note the gefs keen on a return of the upper trough across the whole country in two weeks. Welcome (at least from my perspective) signs of something warmer and initially drier next week, especially for England and Wales, with HP building in and then trying to hang on by the skin of it's teeth according to GFS. ECM and UKMO clearly go for a slightly different take on things, with much warmer air pumping up from the continent for a time early next week, before eventually it all goes bang. Whichever way you slice it things should become warmer generally and even very warm locally, but the pattern change required to bring a lengthy spell of settled weather still looks as far away as ever imo. Having recently been challenged to provide more evidence for my ideas (! ), I have done what I do not think anyone on here has done before - a mini-study on the accuracy on the GFS and ECM, specifically relating to the UK. Please have a look at the attached PDF - any comments would be gratefully received, as I would like to extend this study when I get time later in the year. It was done in rather a rush, so feel free to point out any errors I have made. What a very good idea. So much better to do this type of research than try to use ones' memory. 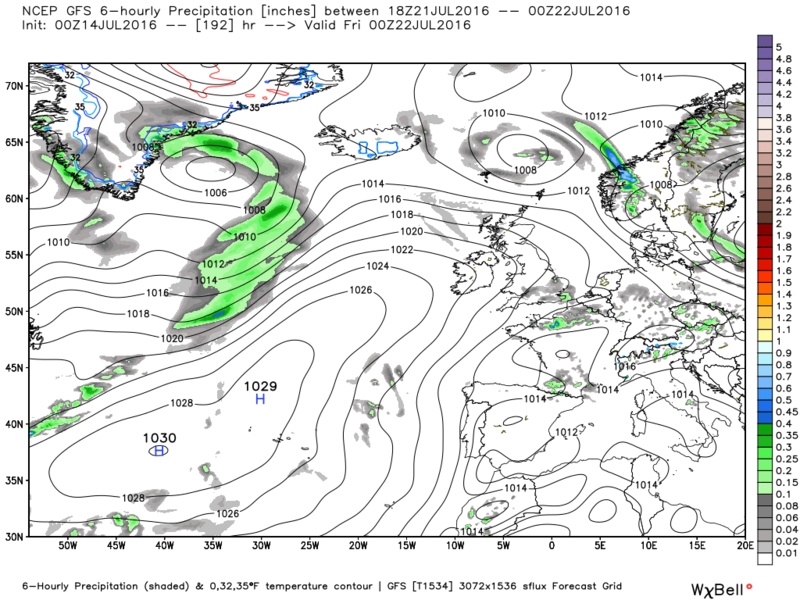 I have not had time yet to have a closer look but IF you can find time to do it for the 12z as well?. Even more to ask if you could do this routinely then it would be a big help in checking outputs at T+144, a lot to ask I know. Over the winter I can imagine it being a huge help in putting some factual evidence forward to try and counter the hype we see so much more of in winter. As mean charts go for mid summer, the Ecm 00z ens mean is impressive for warmth, dare i say heat even, into next week with very warm, hot sunshine, increasing humidity and a chance of thunderstorms too. Firstly I think it's highly commendable that you have gone to the trouble and effort to do this but one observation that springs to mind.  Is taking a specific location really representative? By this I mean if you used two other locations, say the north of Scotland and south east England would the results be the same? This is not meant as a criticism because I think this sort of comparison is extremely complex and difficult. Ideally one would probably need two or three time frames as well.